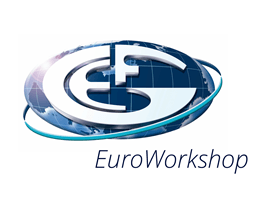 EuroWorkshops are a platform to support the continuous professional development (CPD) for geologists worldwide and specifically in Europe, that the EFG proposes to European Geologist title holders and all other geoscientists. These activities will intensify the professional exchange of ideas and the contacts between geologists from all over Europe and will also strengthen the context in which we work within the EFG family. The EuroWorkshops also provide applied training for students and young professionals, by offering special conditions for them. A key objective of the EFG is to lower the threshold for attending such events for students. It is the vision and mission of EFG, that by creating access for young geologists to such events they become familiar with the professional world of geology. European Geologists in return will have the chance to meet young geologists with new ideas while maintaining their knowledge and expanding their experience. 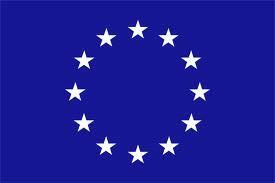 All the EuroWorkshops are CPD certified. The European Federation of Geologists (EFG), the Royal Geological and Mining Society of the Netherlands (KNGMG) and CHPM2030 (a Horizon 2020 project) will jointly organise a EuroWorkshop on Geology and the energy transition on May 23, 2019 in Delft, the Netherlands. An optional fieldtrip “Exploring the Anthropocene”, on the Sedimentary dynamics of the Dutch coast – showing how the current Dutch landscape was formed during the Holocene sea level rise – will be organised on May 24, 2019. The 77th EFG Council meeting will be held on May 25 and 26, 2019 in Delft (for EFG delegates only). The world is changing, the energy industry is changing, and geologist needs to change with it. As we consider renewable energies, new models on how to distribute energy to its users, policies to encourage initiatives and our remaining dependency on the traditional energy industry, it remains uncertain how our society will come through the energy transition and where geoscientists will fit in the mix. Will they still have a central role and how will geoscientists adapt to this new world? The world is trying to find a way through these issues by diversifying into different types of energy, such as biofuels, hydrogen, solar and wind. We will show examples that geoscientists are showing the path on how renewable energy benefits from the knowledge of geoscientists. This geological knowledge enables a durable and safe transition. The aim of this EuroWorkshop is to provide insights into the energy transition and how it has affected geosciences. The first session will be discussing the European policies that have been adopted to encourage the energy transition to gain an understanding of how these policies will provide directions for future developments: “Policy discussed by policymakers”. The aim for the afternoon is to present actual projects where geoscience plays a key role in the realisation of the energy transition: “Projects presented by geologists for geologists”. Mr. Haitze Siemers, Head of Unit “New energy technologies, innovation and clean coal”, DG Energy, has been working for the European Commission since 1993. He started his career on EU-Japan relations, both in Brussels and in Tokyo, followed by work in trade policy leading in particular the development of the European Commission’s trade policy dialogue with civil society. After a stint in consumer policy, Mr. Siemers joined the team developing a blueprint for Europe’s Maritime Policy. From 2008 to 2018, Mr. Siemers led a number of different teams in DG MARE on the development of Blue Growth strategies, EU legislation on Maritime Spatial Planning, the EU’s International Ocean Governance Strategy, and innovation, research and investments. As of June 2018, Mr. Siemers took on his current function at the helm of Unit C2 in DG ENER. Ruud Cino is qualified as a chartered accountant and is currently employed at the Dutch Ministry of Economic Affairs and Climate Policy. He is responsible for the policy concerning the oil, gas and other mining sectors. His professional interests focus on the position of the oil and gas sector in the energy transition and the decomissioning and re-use of oil and gas facilities and infrastructure. Before Mr. Cino joined the Ministry of Economic Affairs he served at the Dutch Ministry of Infrastructure and Environment where he was responsible for the policy on soil and water quality. Adele Manzella is Senior Scientist and works as a geophysicist in geothermal exploration to conduct field and theoretical investigations of geothermal systems in Italy and abroad. She received her M.Sc. at Padua University in 1985, and took graduate courses in geophysics at University of Berkeley, USA, in 1986-1987. She worked in seismology, numerical modeling for seismic and electromagnetism. Her main fields of activities have been: magnetotelluric surveys in tectonically active regions of Italy (CROP crustal projects, Vesuvius and Etna volcanoes) and Bohemia (Czech Republic); groundwater exploration using electromagnetic methods in Tuscany and Sardinia (Italy); geothermal exploration as a geophysicist, conducting magnetotelluric surveys and theoretical investigation of geothermal systems in Italy, Tibet, Iceland, Australia, Sri Lanka; integration of different geothermal exploration methods for reservoir characterization, and feasibility studies for geothermal plants. She coordinated for CNR the Italian geothermal evaluation projects VIGOR and Geothermal Atlas of Southern Italy, and led the participation of CNR and was WP leader in most EU projects dedicated to geothermal energy of CNR, regarding exploration methods development, coordination of research efforts and geothermal networking, and promotion and support for the development of geothermal energy. In the recent years she expanded her interest also to the social aspects of geothermal energy, and edited the first book entirely dedicated to this topic. She participates to the Steering Committee of the European Technology & Innovation Platform of Deep Geothermal energy (ETIP DG) and its Secretariat, coordinating the preparation of strategic documents, the first being its Vision published on March 2018. 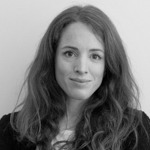 She represents CNR within the SET-PLAN European Energy Research Alliance-Joint Program Geothermal Energy (EERA-JPGE), the European Geothermal Energy Council (EGEC) and the International Geothermal Association (IGA). 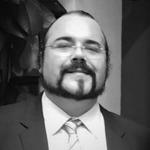 Author and co-author of publications on national and international scientific journals and proceedings of conferences/workshop, convener at national and international conferences, lecturer in international geothermal courses, conferences, schools and workshops, and reviewer for many international journals in geophysics and geothermal exploration research. Inga Berre is Professor at the Department of Mathematics, University of Bergen. Her main research interests are mathematical modelling, partial differential equations and numerical methods, in particular motivated by simulation of flow, transport and geo-mechanical processes in geothermal systems. 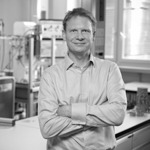 Berre is currently chair of the Joint Program Geothermal, European Energy Research Alliance. Doctor in Geology at the University of Hamburg (Germany) and degree in Geology at Granada University (Spain). He was head of the Natural Stone Laboratory of AIDICO in Spain from 2007-2015. His main research lines are related to the evaluation and the enhancement of shallow geothermal systems and the characterization and analysis of stone materials and industrial rocks. He has actively participated in several European research project for the enhancement of the efficiency of shallow geothermal systems and GSHP, such as MESSIB, GEOCOND, CHEAP-GSHP, etc. The development of new materials to increase the overall performance of those systems has been his main activity in the last years participating as research fellow in the Technical University of Valencia (SPAIN). Mapping and integration of geological stings in the studies of SGE is also one of the principal research lines trying to integrate the geological information to the design and simulating tools for those shallow energy systems. 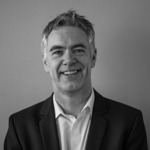 Ken holds the Chair in Subsurface Engineering at TU Delft which covers research and teaching in the areas of foundation systems and the use of underground space. 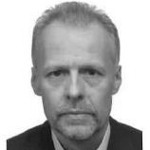 He has over 25 years’ experience in research and consulting in offshore foundation systems. Recent projects include the full-scale, proof of concept trials of a novel twisted jacket structure, the development of a gravity base system for offshore wind and an efficient anchor system for floating offshore structures. He was a member of the academic working group for the Joint Industry PISA project that developed a new approach for the design of monopile foundations for the offshore wind sector. His talk will consider key geotechnical and geological uncertainties remaining for foundations in the offshore wind sector. 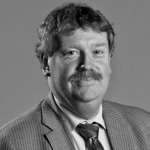 Ton Wildenborg is a senior geoscientist at TNO with over 30 years of experience in subsurface applications for disposal and storage; since the mid-nineties he worked on CO2 storage projects dealing with capacity estimation, risk management and regulation. He received his Master’s Degree in Earth Sciences at Utrecht University in 1982. In the same year he started a PhD research project which was successfully defended in 1990. He was one of the lead authors of the IPCC Special report on CO2 Capture and Storage. Currently he is involved in developing plans for CO2 transport and storage plans to meet the Dutch CO2 emission reduction targets. Until recently he was president of the CO2GeoNet Association. The Council meeting will be held at Science Center in Delft (EFG delegates only & invited observers). 20.00 – Welcoming drinks for Delegates (Cafe Labs, Stieltjesweg 226), including the annual EFG wine contest, which is open for 3 categories, brewed, fermented and distilled. The welcoming drinks are offered to the delegates and EFG board by your host, the KNGMG. 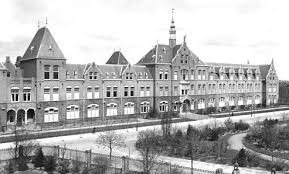 The location is in the former faculty of Mining Engineering in Delft, a historic building dating from the start of the 20th century, specially built to house to universities collection of minerals and rocks. Recently the building was transformed to house the Science Center, a new facility to engage the public and specifically young people in science. Part of the Science Center are the unique meeting rooms that have been preserved in the original look and feel of the academic environment of the early 20th century. 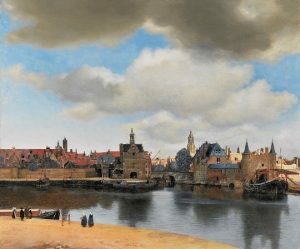 A view of Delft, by Johannes Vermeer. The CHPM2030 project has received funding from the European Union’s Horizon 2020 research and innovation programme under grant agreement nº 654100.